NOOOO!! I FORGOT THE MOTHERFUCKING PINEAPPLE!! Its not delivery.. its Digiorno! 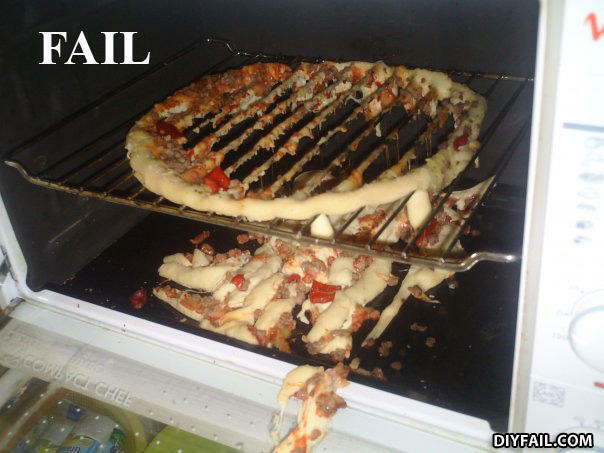 your fail pizza is ready! Next time add more flour. Didn't you want it sliced? i still get it in 30 minutes.. right? never take it out of the freezer too long before you bake it! Would you like to go to my jinga party, if you do save the date 9/11? Why couldnt susie see out her window? She was not home, see was to busy drowning in the ocean.